George C. Grape Community Hospital provides general medical and surgical care for inpatient, outpatient, and emergency room patients, and participates in the Medicare and Medicaid programs. 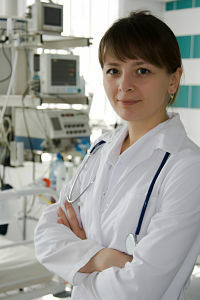 Physician specialists from the region provide services at the facility each week. Services are provided without regard to race, color, national origin, handicap, age, gender, religious affiliation, or socio-economic status. At George C. Grape Community Hospital, we understand that healthcare is evolving. Advancements in medicine and strides in technology are providing local communities access to better healthcare. It is our desire to provide the best care in our region. Our staff will be here to help you and your loved ones when the need arises. The comfort and care of our patients is our major goal. Services are provided without regard to race, color, national origin, handicap, age, gender, religious affiliation, or socio-economic status. More details.